Noted activewear retailer JD Sports recently unveiled its latest adidas silhouette, once again showcasing the sportswear brand’s popular NMD R1 model. A clean white textured material wraps the majority of the upper with a light grey patch taking up room at the heel region. Additional splashes of white continue along the shoe, landing on side area Three Stripes branding, full-length BOOST midsole and EVA inserts. Providing subtle contrast are the faint hits of black found on the rubber outsole and branded heel pull tabs. 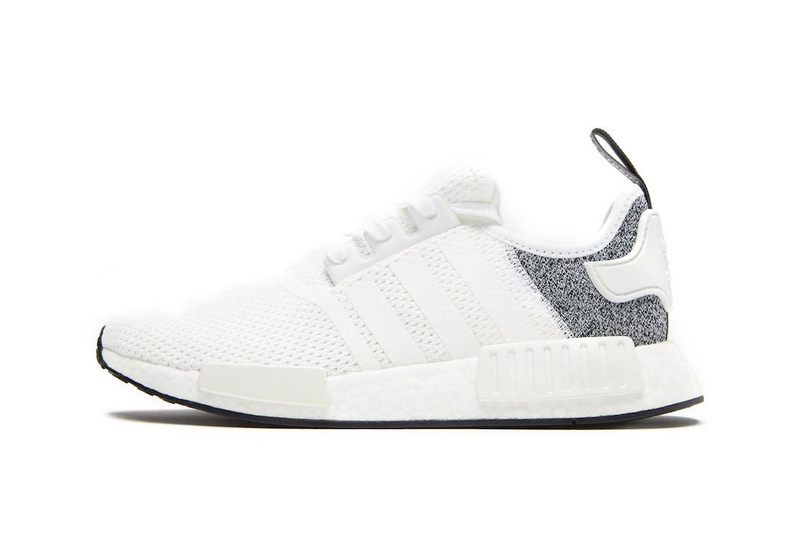 Priced at £110.00 GBP (approximately $146 USD), this adidas NMD R1 model can be found now exclusively at JD Sports. Still keeping with the Three Stripes brand, the Sneakersnstuff x adidas Consortium FUTURECRAFT 4D drops this month.